Lauren Tenney, PhD, MPhil, MPA, is a psychiatric survivor and environmental psychologist. 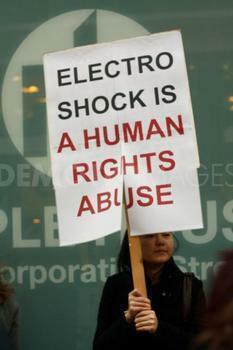 The #FDAStopTheShockDevice petition has received over 2,200 signatures and 800+ comments. A more thorough analysis of those comments is forthcoming, however, we wanted to offer a glimpse of what people shared. The sixth, seventh, and eighth most common words used in the comments submitted through the petition were “damage,” “barbaric” and “torture.” We must continue the fight to make sure that the FDA hears the people who will be adversely affected by the proposed rule if it becomes an order. There is still a small window of time for you to sign the petition and leave a comment to the FDA. Dr. Peter Breggin’s response to the FDA’s proposal. … To support reclassification of Electroconvulsive Therapy (ECT) Devices into class II (special controls) for severe major depressive episode (MDE) associated with Major Depressive Disorder (MDD) or Bipolar Disorder (BPD) in patients 18 years of age and older who are treatment-resistant or who require a rapid response due to the severity of their psychiatric or medical condition. The FDA is also proposing specific warnings that should go along with the ECT devices. The strongest of the warnings — “Warning: ECT device use may be associated with: disorientation, confusion, and memory problems” — is grossly inadequate and misleading. 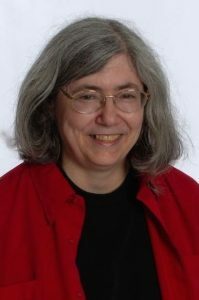 Dr. Bonnie Burstow, is a faculty member at the University of Toronto. This article is about women, ECT, and memory. 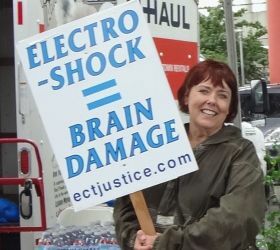 Despite the fact that the memory loss caused by ECT is greatly minimized by psychiatry to the point of downright denial, it is fairly common knowledge at this point, at least among people who have looked beyond the official ECT line, that one of the main and most devastating effects of ECT is the destruction of memory. 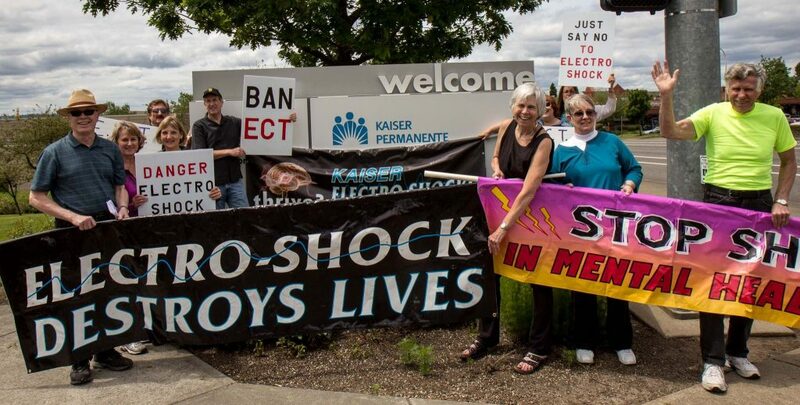 On May 16th, 2015, Electroshock survivors and supporters from around the world staged a coordinated protest against shock treatment. 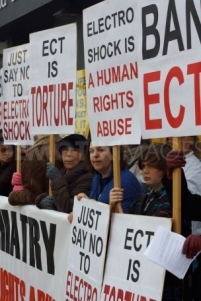 Activists in 27 cities gathered at facilities performing electroshock and in public venues in remembrance of those whose lives were destroyed by shock, and to demand an end to this brutal psychiatric “treatment”. Our purpose is to gather information from other ECT survivors with the purpose of improving standards in the consent process, improving safety, and potentially filing a potential class action lawsuit. If you feel you have suffered permanent injury from the use of ECT or the use of ECT on your person was not fully explained in the consent process then we hope you will fill out our ECT questionnaire. In gathering information from the questionnaire we expect to find commonalities among survivors that will empower us to effect change in the use of ECT as a therapy modality for mental illness and Parkinson’s disease and to ultimately stop its use in its current form. If you have suffered memory loss or cognitive issues following ECT, it is important to have documentation of loss. If you are able, seek neuro/cognitive testing from a psychologist who is certified in this area. Ask for a copy of these results for your personal record. For the record you may also want to request an EEG from a qualified neurologist and retain a copy of the results once the report is complete. It is our hope that together we can and will be a voice that is heard and the use of ECT will be eliminated. 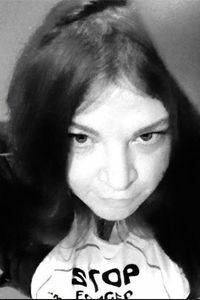 If you are an ECT survivor please know that you are not alone! Together we can make a difference. Thank you for taking the time to fill out our ECT Questionnaire to the best of your ability.